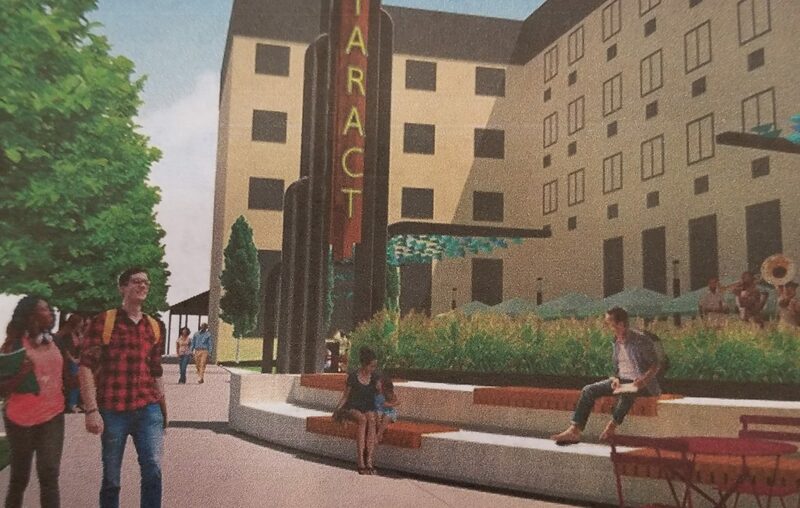 An official outdoor public space called Cataract Commons will be created on the former Wintergarden site at Old Falls Street and Rainbow Boulevard in downtown Niagara Falls. The board of directors of USA Niagara Development Corp. on Thursday awarded a $1.07 million contract to Scott Lawn Yard of Sanborn to finish the 10,000-square-foot space by May 2020. It will include permanent seating, shade and a vertical sign mimicking that of the old Cataract Theater, which once stood on the site. The lot has been used for occasional seasonal and "pop-up" events since USA Niagara, the local arm of Empire State Development, acquired it in 2009. "The parcel needs more permanent facilities to truly become a focal point on Old Falls Street," acting USA Niagara President Paul Tronolone said.